Introduction to Renewable Power Systems and the Environment with R showcases the fundamentals of electrical power systems while examining their relationships with the environment. To address the broad range of interrelated problems that come together when generating electricity, this reference guide ties together multiple engineering disciplines with applied sciences. The author merges chapters on thermodynamics, electricity, and environmental systems to make learning fluid and comfortable for students with different backgrounds. 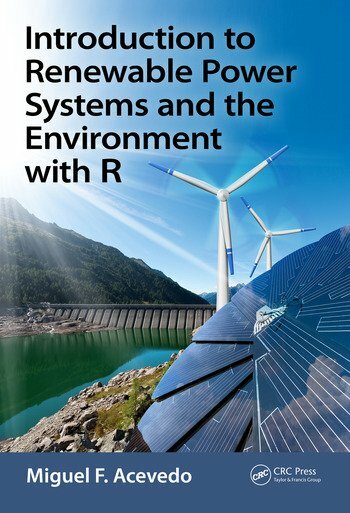 Additionally, this book provides users with the opportunity to execute computer examples and exercises that use the open source R system. Functions of the renpow R package have been described and used in this book in the context of specific examples. 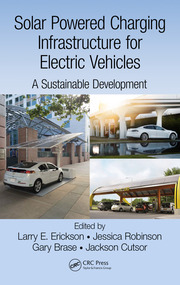 The author lays out a clear understanding of how electricity is produced around the world and focuses on the shift from carbon-based energy conversions to other forms including renewables. Each energy conversion system is approached both theoretically and practically to provide a comprehensive guide. Electrical circuits are introduced from the simplest circumstances of direct current (DC), progressing to more complex alternating current (AC) circuits, single phase and three-phase, and electromagnetic devices including generators and transformers. Thermodynamics are employed to understand heat engines and a variety of processes in electrochemical energy conversion, such as fuel cells. 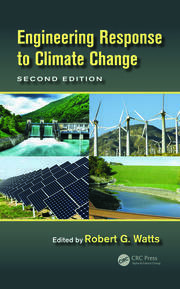 The book emphasizes the most prevalent renewable energy conversions in use today: hydroelectrical, wind, and solar. 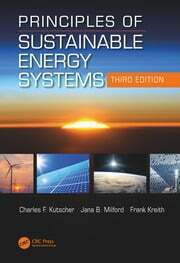 This book is an invaluable for students as a resource to help them understand those aspects of environment systems that motivate the development and utilization of renewable power systems technology. Miguel F. Acevedo has 40 years of academic experience, the last 24 of these at the University of North Texas (UNT) where he is currently a faculty member. His career has been interdisciplinary and especially at the interface of science and engineering. He has served UNT as faculty member in the department of Geography, the Graduate Program in Environmental Sciences of the Biology department, and more recently in the Electrical Engineering department. He obtained his Ph.D. degree in Biophysics from the University of California, Berkeley (1980) and master degrees in Electrical Engineering and Computer Science from Berkeley (M.E., 1978) and the University of Texas at Austin (M.S., 1972). Before joining UNT, he was at the Universidad de Los Andes, Merida, Venezuela, where he taught since 1973 in the School of Systems Engineering, the graduate program in Tropical Ecology, and the Center for Simulation and Modeling. He has served on the Science Advisory Board of the U.S. Environmental Protection Agency and on many review panels of the U.S. National Science Foundation. He has received numerous research grants, and written several textbooks, numerous journal articles, as well as many book chapters and proceeding articles. UNT has recognized him with the Regents Professor rank, the Citation for Distinguished Service to International Education, and the Regent’s Faculty Lectureship.